A ‘scary but beautiful’ UFO has been spotted buzzing above an IKEA branch in Siberia, leaving many Russians puzzled by the strange sighting. The streaking fireball cut through the sky, witnessed over a vast area including Kazakhstan, provoking social media claims about an alien visit. Footage of the mystery object taken from a car shows it flying over a branch of furniture giant IKEA in the city of Omsk, western Siberia. But it was also seen on Tuesday evening in the cities of Tyumen, Tomsk and Novosibirsk, as well as the Kazakhstan capital of Astana. Local astronomers have ruled out a comet, and played down suggestions it was a meteor. One theory is that it was a test firing of a Topol RS-12M ordered by Vladimir Putin which launched from Kapustin Yar cosmodrome in southern Russia. The missile hit a target at Saryshagan polygon in east-central Kazakhstan. If so, a direct routing would not take it close to the places it was sighted in western Siberia. 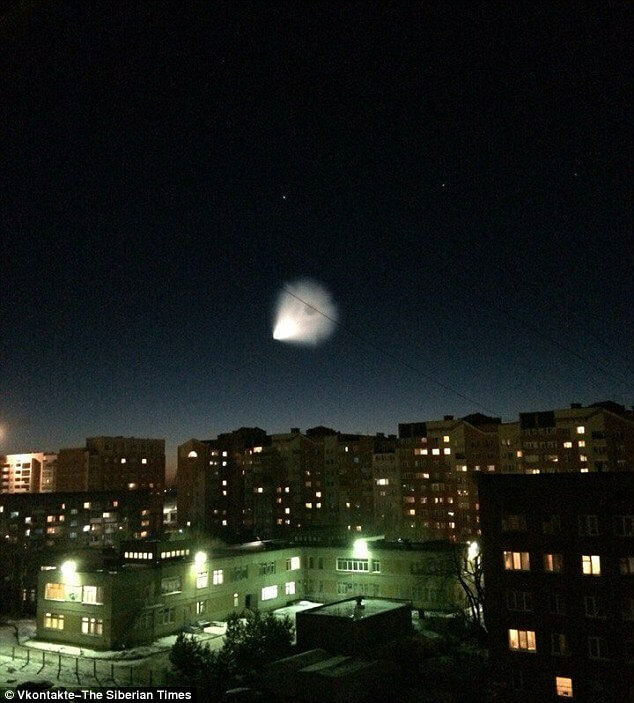 Is this a rocket or a UFO spotted in the skies of Siberia? They suggested ‘the object was the second stage of intercontinental ballistic missile Topol launched at 15:12 Moscow time from Kapustin Yar cosmodrome in Astrakhan region’, according to The Siberian Times. ‘It was whirling so that the trajectory doesn’t change, the fuel left was discharged through side nozzles,’ said staffer Camila Sharzhanova. In Omsk, planetarium head Vladimir Krupko suggested it could have been instead an unreported launch from Plesetsk in northern Russia.